SIA Group airlines’ passenger load factor improved 2.7 percentage points to 80.8%. Passenger carriage (measured in revenue passenger kilometers) increased 7.5% compared to last year, against 4.0% expansion in capacity (measured in available seat kilometers). 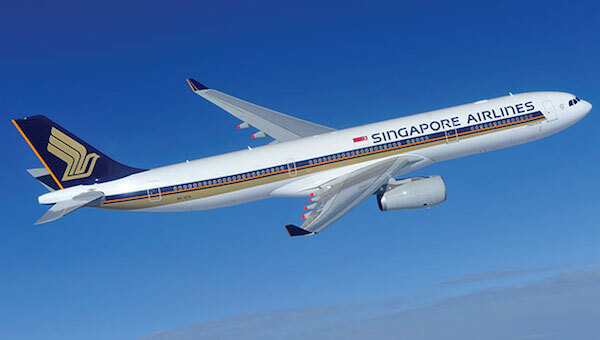 Singapore Airlines’ passenger load factor improved 3.7 percentage points to 80.8%. Passenger carriage increased 4.5% compared to last year, against a 0.2% decline in capacity. Supported by promotional activities and the shift in Easter holiday from March 2016 to April 2017, passenger load factor improved for all regions. The restructuring in the Americas network contributed to passenger load factor improvement, while Europe saw a recovery in passenger demand from last year’s security fears that affected the region. The competitive landscape remains challenging and promotional efforts will continue in relevant markets. SilkAir’s systemwide passenger carriage grew 8.9% year-on-year, lagging behind capacity growth of 12.6%. Consequently, passenger load factor declined by 2.4 percentage points to 70.5%. Growth in passenger carriage did not match capacity growth to certain destinations in China and India, in particular. Budget Aviation Holdings recorded a 20.7% year-on-year increase in systemwide passenger carriage, trailing growth in capacity of 21.3%. Consequently, passenger load factor declined by 0.5 percentage points to 84.7%. Passenger load factor edged up for East Asia and Rest of World regions, led by routes to Indonesia, Thailand and Australia. West Asia region recorded a decline in passenger load factor as traffic did not keep pace with the significant increase in capacity. During the month, Budget Aviation Holdings took delivery of its first 787-8 aircraft fitted with crew rest bunks, for long-haul services, which led to a wide-body fleet of 13 aircraft, compared to 11 a year ago. Overall cargo load factor was 2.3 percentage points higher with growth in cargo traffic (measured in freight-ton-kilometres) of 3.4% against overall capacity reduction of 0.3%. Cargo load factor improved across all regions except South West Pacific, as demand outpaced capacity changes.